A. Andre Spalvins is a full-service real estate broker with ANDREWS & ASSOCIATES REALTY INC. A. Andre handles sales and rentals for residential, along with commercial property sales throughout Sarasota, Osprey, Nokomis, Venice, Englewood or Port Charlotte areas. For the past 25 years A. Andre resided in Sarasota, along with Aleksandra, wife of 43 years. Both of their children run their own businesses in Sarasota. As a Latvian immigrant, A. Andre has a high tolerance for foreigners and older folks! He is very active in the boating community and teaches safe boating classes for both the Sarasota and Venice Power Squadrons. His on the water experience goes from the Lower Florida Keys to Tarpon Springs. An Ohio State Grad from the College Agriculture serves him well with the retiring farmer community! Specializing in investment properties and residences, he brings unequalled integrity to this business. From information on the local community, to advice about finding a mortgage or preparing your home to sell, it's all available here on my web site (http://www.aandre.us/home.asp). You can also search for your ideal home by viewing current listings with detailed descriptions and photos. Or you can get help determining the value of your home by requesting a report that includes the prices of similar homes that recently sold or are currently for sale in above listed areas. So whether you're buying or selling, feel free to contact me and I will be happy to help you with all your real estate needs. 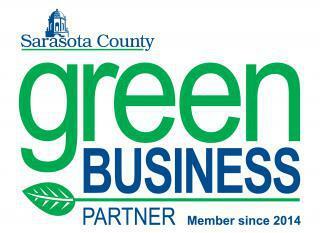 As a green business partner, A.Andre is doing his part to make a positive impact on our community. Often working from his home-based office, Spalvins uses environmentally friendly gardening and landscaping practices. His usage of native vegetation and xeroscape designs allowed him to become certified as a Florida Friendly Yard by the University of Florida cooperative extension. The realtor office has a comprehensive recycling program that includes composting of yard waste and materials.